"There are a lot of interchangeable parts here at forward. Michael Rasmussen is likely to make the team and break in at left wing, similar to the way the team eased Larkin into the league. Trading Athanasiou, which is very much a possibility, would open more time on the wing for Rasmussen. The odd-man out, among the kids, appears to be Evgeny Svechnikov, who had a down season last year in the AHL but showed glimpses of being able to use his big body effectively at the NHL level. A few things could help Svechnikov get regular playing time: 1) Zadina isn’t NHL ready. 2) Zetterberg retires. 3) Athanasiou is traded. There’s a good chance at least one of those scenarios emerges by the start of the season." So essentially he expects either Zetterberg to end up on LTIR, Zadina to start in Grand Rapids or a trade to be made to make room for Rasmussen. If Z retires, it's personal choice. Not his back. He's missed 5 games in the last 4 years, 0 in the last 3. He's, averaged 19:33 TOI during that span = 2 seconds less than career average. I'm ok with Z retiring. But enough with the back complaints. Stop playing golf if it hurts so bad. I'd like to see him hit 1000 pts then call it right after that game. These lines are basically what I'm expecting/hoping to see, assuming everyone is healthy at the start of the season. Seems to be some recent stuff out there suggesting Z's back is worse than people thought (he didn't practice the second half of the season - Blash says he doesn't think Z plays if it's that bad again). Not to mention, the cap situation is pretty tricky, even with Franzen heading to LTIR (Custance article on The Athletic). Seems like an "easy" out of the cap mess/roster crunch is Z starting on LTIR. If that happens, I can see Nielsen jumping up to 2C and Helm shifting to 3C between Vanek and AA. Was Stevie sent down to GR at this point? How does Z go from playing a full season to not being able to play at all? You would think there would be some level of decline between those 2 extremes. Zetterberg will play this season. It may not be a full season, but I'd be shocked if he doesn't at least play a partial season. Svech is 1st call up. Full time after TDL. Frk waived and sent down to GR. Hronek and Cholowski with some call ups. There's really no news here. Article just confirms what we already know. 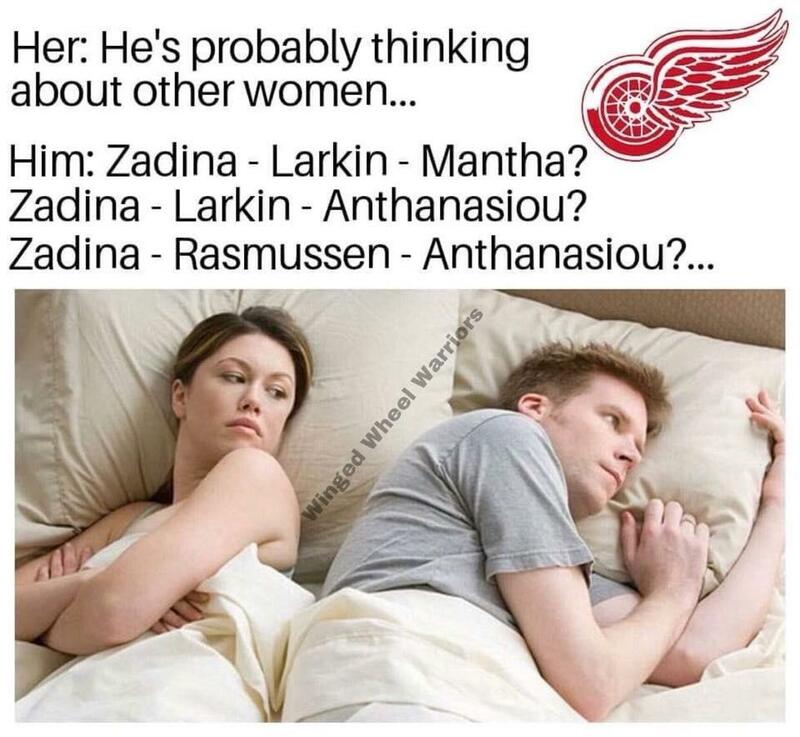 Well, if he is, then we'll have no cap issues and Zadina will be here. Sounds like the same sources. And by that, I mean, people pulling words out of their asses. I'll believe Zetterberg is done when he plays zero games this year. Until then, writers gonna write. So much stuff coming out of people's asses around here. It's like the ER on Valentine's Night. Zetterberg is done playing because he's had enough of Blashill and is unwilling to be coached. Guy has a bad back, clearly in decline and still plays 19 minutes a night. Like who does that? Is that even medically healthy? He's also the last one off his line every shift. Clearly his minutes need to decrease but he seems to just keep playing 19 minutes every time. I have a feeling this is him refusing direct orders from his coach. Completely reasonable to assume this based off the information available. Don't get me started on the Swedish Mafia stuff either. 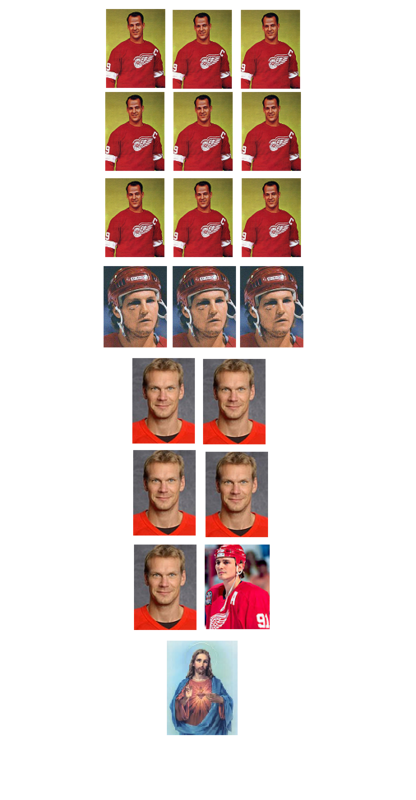 I just want you to compare Yzerman and Zetterberg's 15th seasons. I know you have the ability to. Don't dodge it. I get that it would make Yzerman look better than Zetterberg and you're trying to avoid it. But since we're playing "tag you're it". I've been in the sea for far too long to even take a sniff at this kind of bait. But keep on fishing, you never know when you might accidentally hook one by the tale. It’s just everyone saying they don’t know for sure yet.. which is understandable. It’s been the same process the past 3 or 4 off seasons, I’m sure. Until camp starts and he’s not there/talking at all and/or Z tells us that he can’t play, there’s no need to worry. There are just articles pointing it out because there’s nothing going on at this stage in the off season.. gotta get them sweet sweet clicks.